Almost Everyone is using Whatsapp in these days. Whatsapp always comes with a new update that’s why people are like to use it. 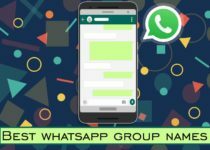 here I am sharing with you some of the Coolest Whatsapp Tricks and Tips. Whatsapp has a new status update. This will disappear after 24 hours so if you want to save someone’s status on your phone, download “Whatsapp Status Saver” from Google play store (it’s free). After downloading the app open it click on recent stories there you can find the status of your friends and long press on which status you would like to download, on the top right corner you can see the arrow tap on it. That’s it, status is saved on your phone. you can also save the status of your friends without any app just go to file manager–>whatsapp folder–>media, here go to options select settings there you can find an option called show hidden files enable it. Now you can get .statuses folder in which you can find your friends statuses. When you send an image in Whatsapp it will be compressed and the quality of the image also lose, many users face this issue so here is the solution for that open ES file explorer and select the image then rename it as .txt in place of .jpg and send it in your Whatsapp and the receiver should change the extension of the file as .jpg in place of .txt Now your image is no longer to lose the quality. just go to file manager–>whatsapp folder–>media–>”Whatsapp images” rename it as a .whatsapp image (simply add a dot before Whatsapp images). Now the folder will not appear in your gallery. Download “Whatsapp Bomber” this a third-party application. simply type the text that you want to send, below type number of times that the message will be sent and select the person then click on send. Whatsapp Bubble works as a Facebook messenger. It is available in Google play store (it’s free), If you received any message a pop-up will be displayed on your screen with bubble shape. 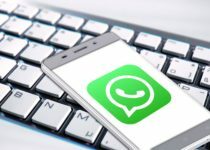 when you received any audio file in WhatsApp while you can hear the sound from the main speaker If you have any secret in that audio file simply put your phone near to the ear. Now the sound is coming through the front speaker. this works with the proximity sensor. If you send any wrong text to anyone in Whatsapp, while you will get one tick then simply block the person because of the message only sent to the server not to the person after some time unblocks the person. 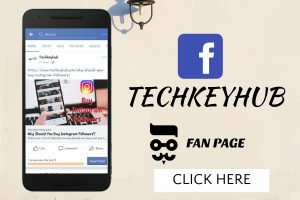 If you like this post share with your friends and relatives on any social media and comment down below.